food, Italy, Photos, Puglia, Saints, trains and automobiles, Transport - planes, Travel - bon voyage! I love just about everywhere in Italy, but the southern parts are where it gets real and raucous and honest and in-your-face. If I could choose anywhere in the world to live at this point in time, current economics aside, it would probably be Puglia. The Friday photo this week was taken in a courtyard in the midst of Bari’s old quarter. It’s a rambling tangle of cobbled lanes, lined with ancient buildings, the thoroughfares so narrow that even the thinnest Ape might find driving here a bit of a squeeze. Flowers, fresh and plastic both, are set before saints occupying niches in the crumbling walls. Old men hold court on plastic chairs in the shade of Bari’s archways, chatting about football and family and who in the ‘hood cheats at dominos. Meanwhile, aproned signoras press out fresh orecchiette with the ease of decades spent fine-tuning their technique. 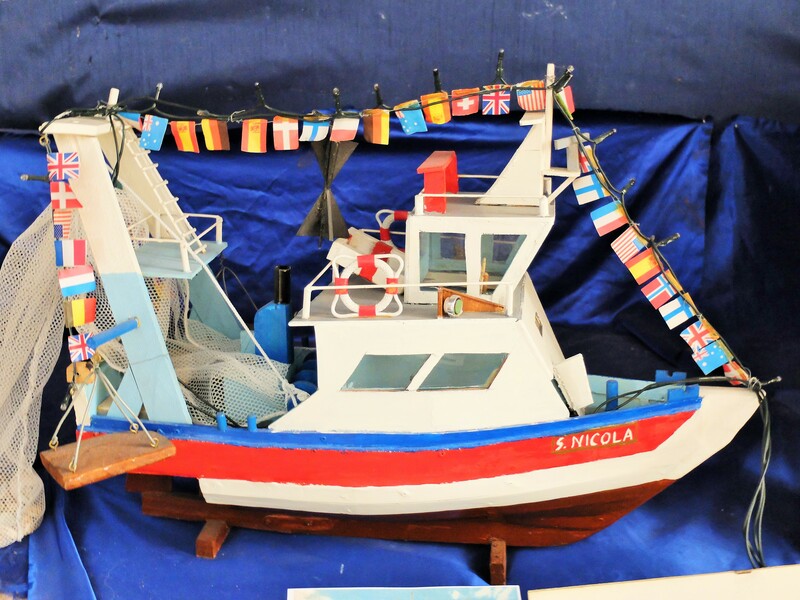 This boat represents Bari in more ways than one: it speaks of the fishermen whose livelihoods were borne out of Bari’s coastal location, and is named for San Nicolà, or St Nicholas, whom we remember at Christmas, and whose relics are interred here, in this very city. In fact, they lie in a basilica bearing his name, just around the corner.